Dual battery system. Alternator will charged back up battery when driving. Never worry about if the camper will start again.... it always will. Battery Charger 240V to 12v when connected to main. -200km/ day free of charge. -A total of 50 cents will be charged per extra Km driven. -Inside camper must be returned in reasonable clean condition. -Porta Potti must be empty and rinsed when returning vehicle. 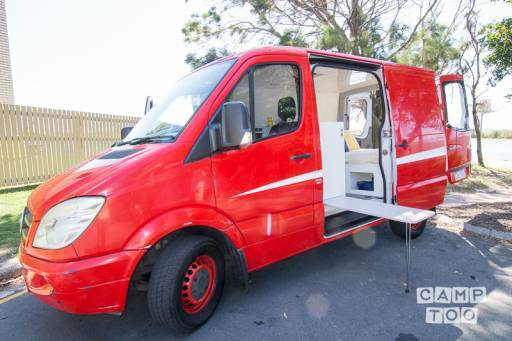 Je kan de camper ophalen in Maroochydore bij Sunnycampahire.